Unfortunately it’s that time of year again. The days grow shorter, the air whips colder, and our concern for the wellbeing of our equine companions intensifies. Are they warm enough on their own? Or, do they need blankets? And which type of blankets? The problem is, a recent study indicates as many as 50% of equestrians lack education regarding their horse’s physiological responses to environmental temperatures, which can pose quite a risk to the welfare of an animal. Sometimes even good intentions lead to undesirable consequences. For instance, on warm January days at our stable I’ve removed clients’ heavy blankets only to discover a sweaty horse underneath. The clients never asked barn staff to manage their blanketing. 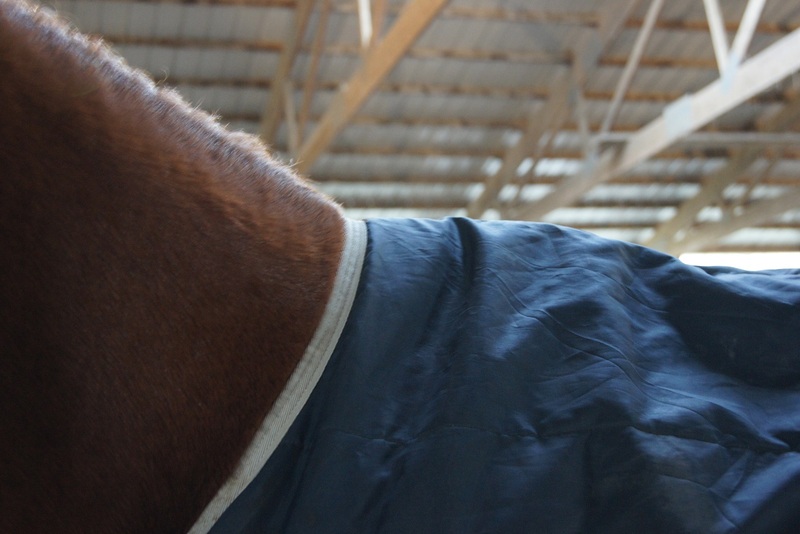 Here’s my no-nonsense guide to blanketing (or not) your horse, developed through years of research and consultation, observation, and trial and error. Monitoring the weather and being able to make blanketing changes, or have them done for you, is just another layer of responsibility for horse owners. Of course, not all horses nor environments are created equal. Most veterinarians agree that the majority of healthy, non-clipped horses with shelter access likely do not require blanketing at all. 2. If you decide to blanket, learn to do it correctly. 2. 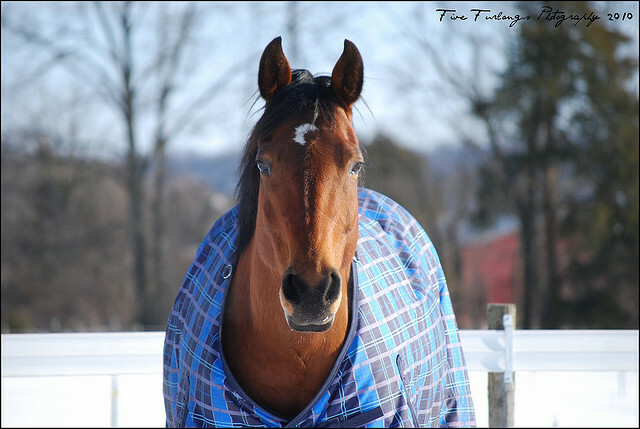 Assuming that you have made the decision to blanket (or “rug”) your horse, take the time to learn more about the art of doing it correctly. There are tons of credible resources online that demonstrate how to purchase the correct size rug, what types of rug to use in varying weather conditions, etc. 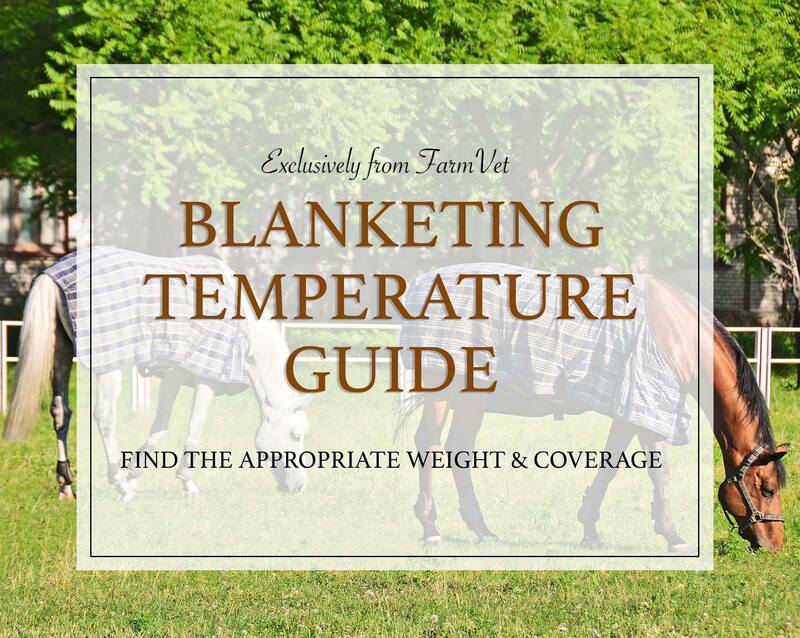 Your horse will appreciate every second you dedicate to ensuring a comfortable blanketing experience. A. The withers are especially sensitive and great care should be taken to ensure that the blanket sits just in front of them instead of exerting downward force on the bony wither area. 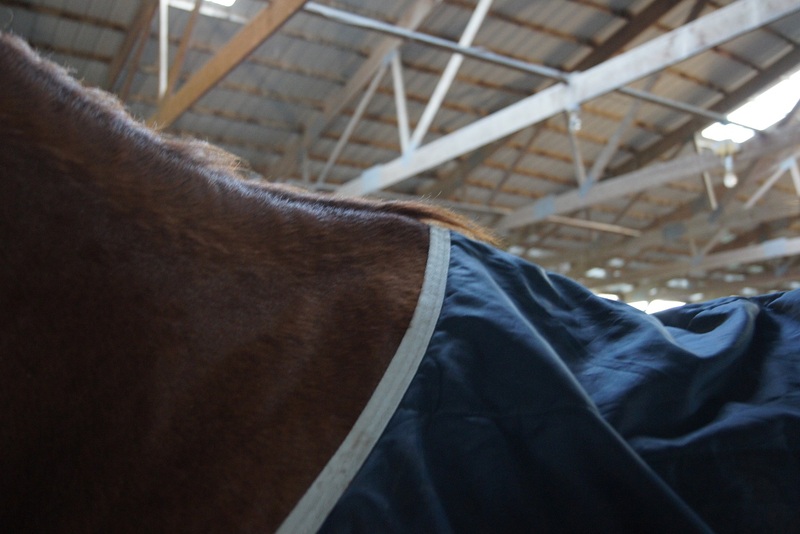 I like to insert my hand beneath the blanket and run it gently all the way from the blanket’s chest buckles to the horse’s withers, keeping an eye out for any areas of excessive pressure; If it’s pinching my hand, then there’s no way that blanket is going to be comfortable for the horse. Properly adjusted blanket resting in front of the withers. Improperly Fitted blanket positioned too far back on the withers. This is likely to create an area of high pressure which may lead to soreness. 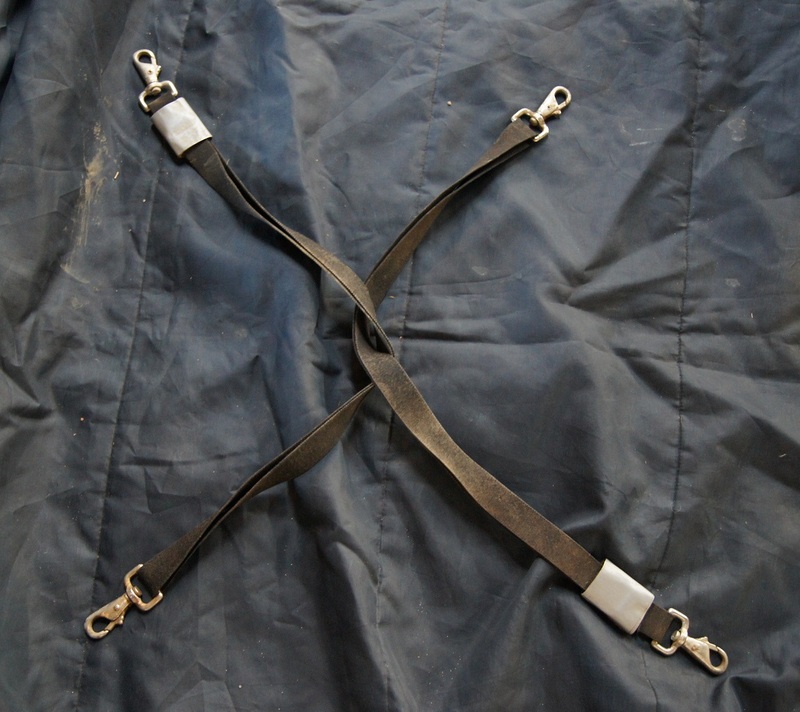 Correctly fastened leg straps as viewed from behind the horse. Method to securely fasten leg straps. This is how the final result should look underneath your horse. Simply loop one strap through the other when fastening. 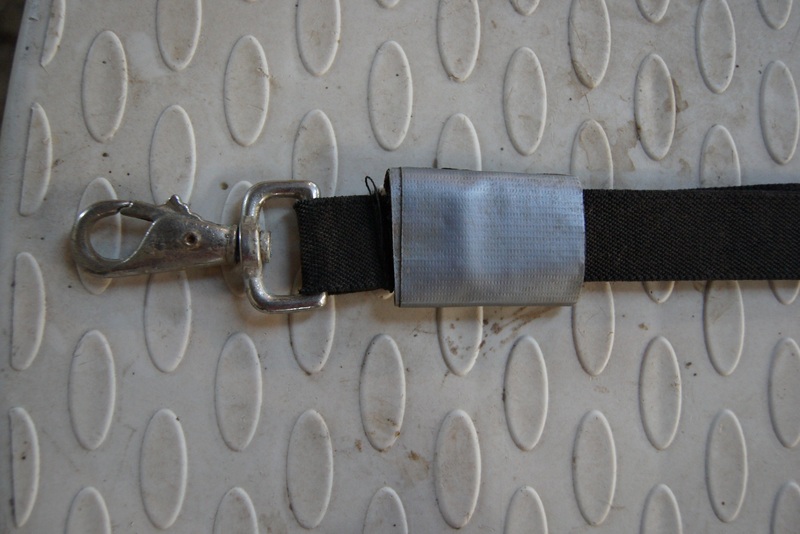 Handy hint: If your straps tend to loosen by themselves with use, try putting duct tape around the adjustment buckles to prevent sliding. This also protects your horse’s legs from that cold (and sometimes irritating) metal. C. Last but not least, make sure both the surcingle and leg straps are neither too tight nor too loose. 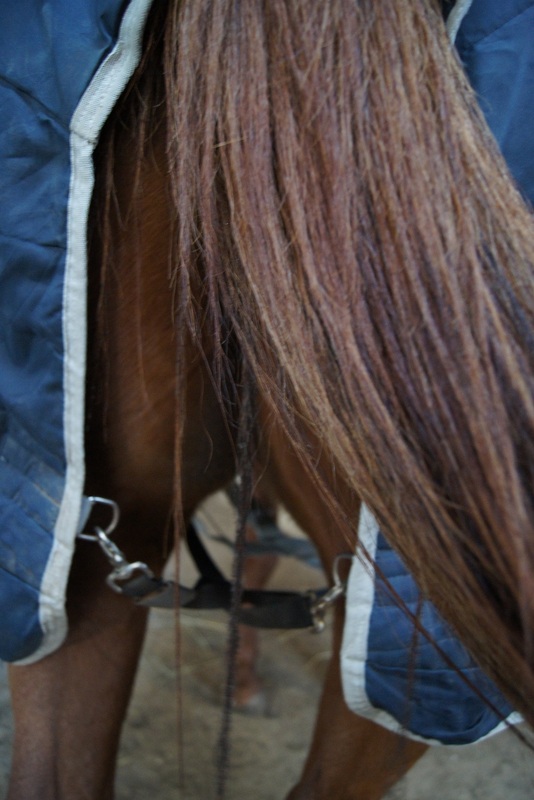 Drooping straps are dangerous as they may trip the horse or fail to keep the blanket in a secure position. On the other hand, overly tight straps increase the likelihood of rubbing and discomfort. 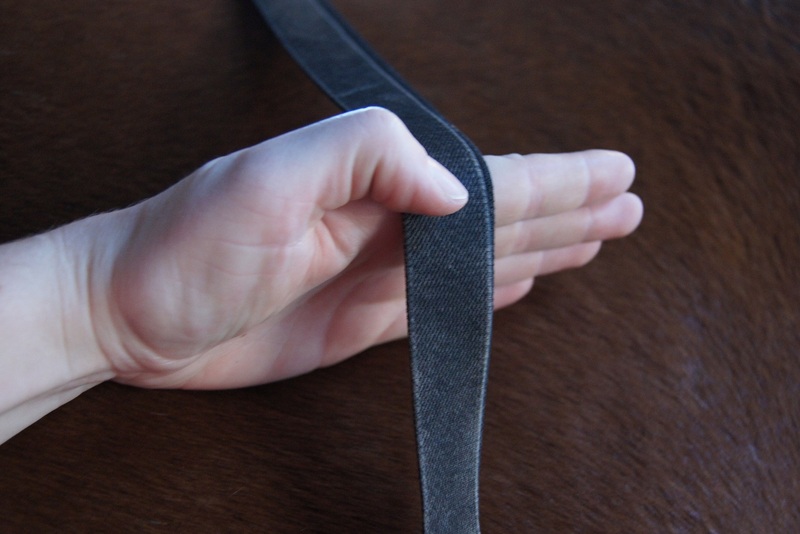 As a general rule, adjust blanket straps so you can fit about a hands width in between the strap and your horse. 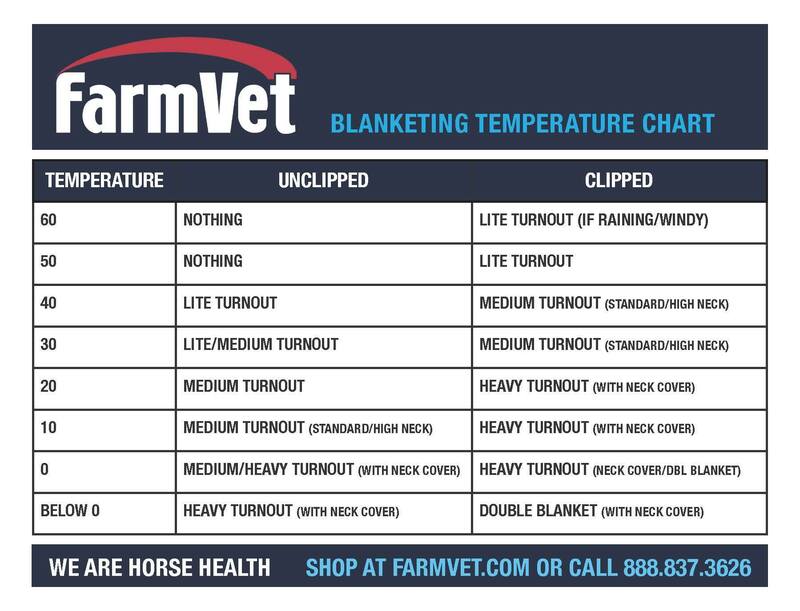 Remember: knowledge, planning and common sense are the key components to successfully blanketing (or not blanketing) your horse throughout the winter to come.